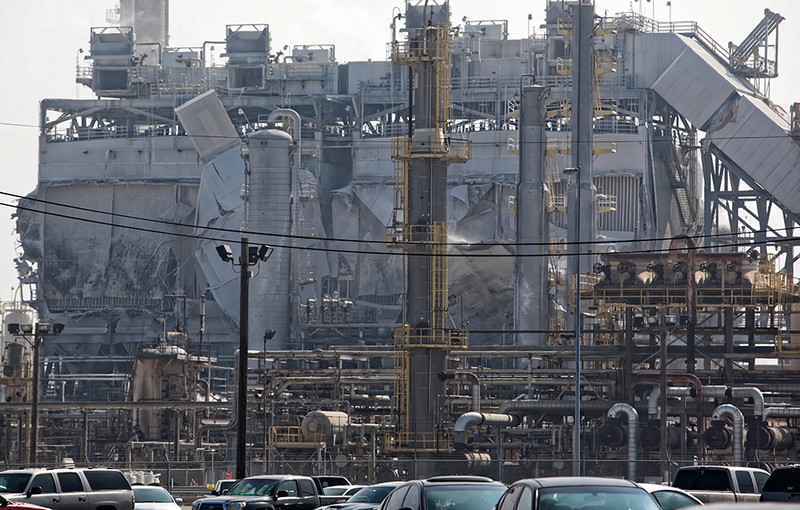 In an earlier incident unrelated to the collapse of a 300-ton crane, damage to the ExxonMobil refinery in Torrance from an explosion is seen from 190th Street. Photo by John Schreiber. 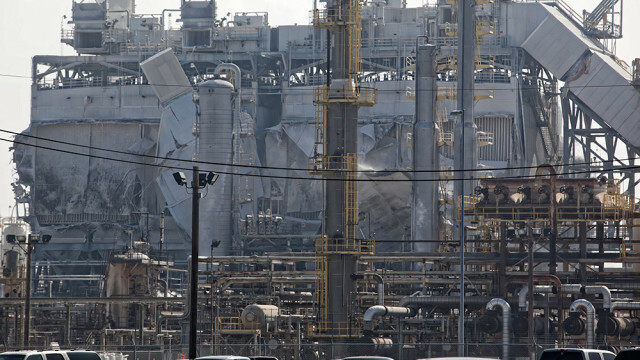 A 300-ton crane collapsed Monday at an ExxonMobil refinery in Torrance, injuring three people. Firefighters were dispatched at 9:36 a.m. to 3700 W. 190th St., where flammable gas as a result of the crane fall was suppressed by water monitors and there was no offsite impact due to the fall, Millea said. There were no active leaks and ExxonMobil was flaring to safely stabilize operations. Flaring is the burning of natural gas that cannot be processed or sold, he said, adding that the process had no impact on air quality in the region. No further information about the victims was available. 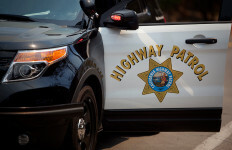 But the injuries appeared to be minor as they were not taken to any hospital, according to Battalion Chief Robert Millea of the Torrance Fire Department.